Did you know that 50% of the seafood consumed in the world is farmed? And as the world’s population increases, aquaculture production is expected to grow to satisfy the demand? Blame it on the Cattle Ranch, but aquaculture is not something I know much about. When a friend of mine contacted me about guesting a post about aquaculture I gladly jumped at the chance! I love to share about all types agriculture! Hopefully I’ll get a personal tour within the next couple of months, but for now check out this guest post. Mr. Vaught even included a coupon just the The Beef Jar readers! 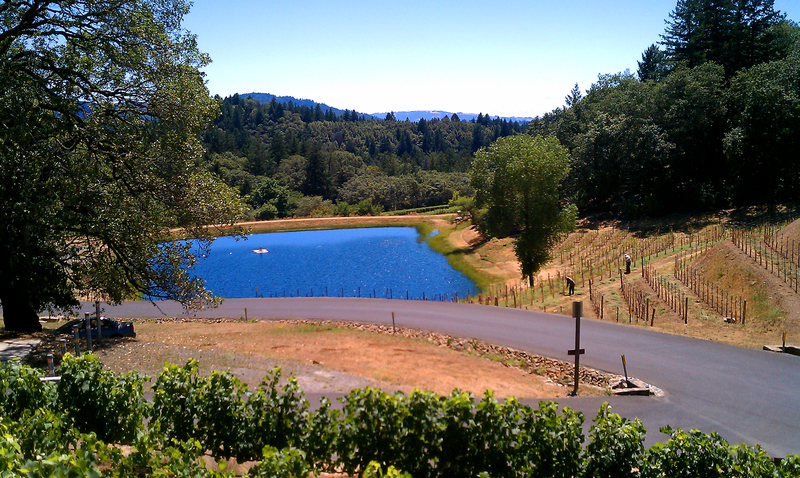 Someday, when I retire to the Ranch I’m going to build a pond and it is going to be badass. The rains have finally arrived in Central and Northern California. 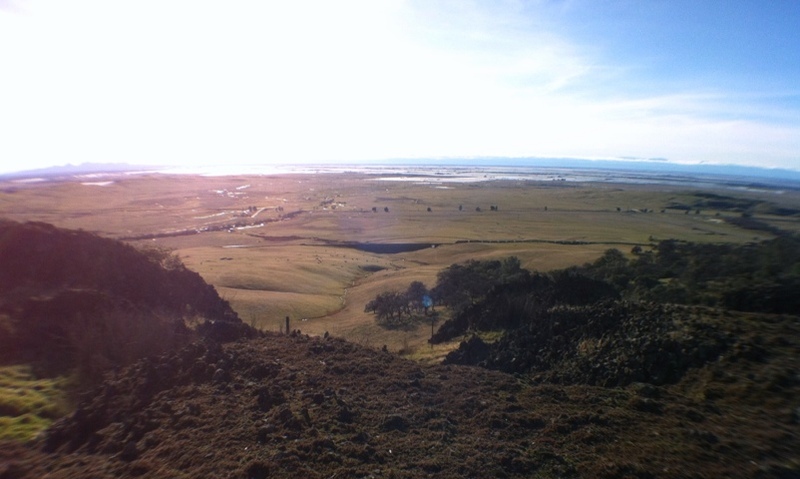 Vineyards, cattlemen, row crops, and hay operations are breathing a sigh of relief. Without our wet winters, water storage, and delivery systems, California would not be the top performing agricultural state that it is. 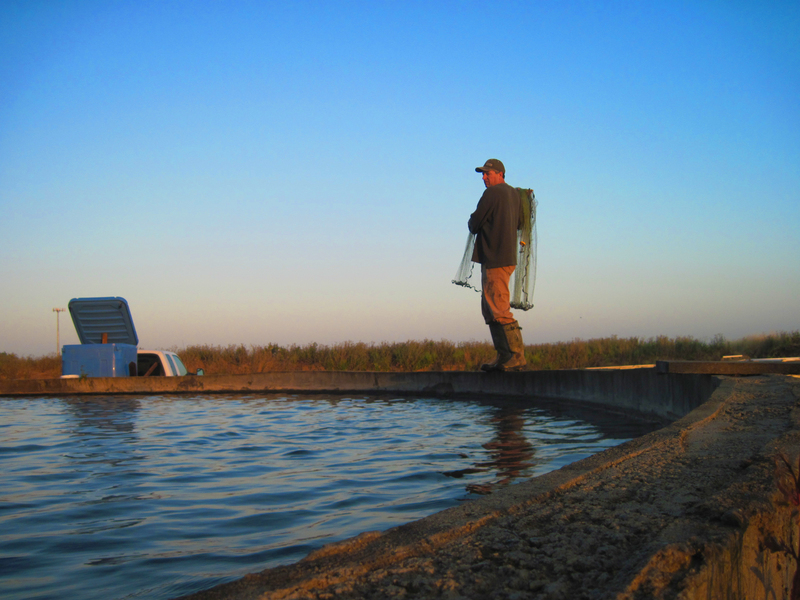 One member of our diverse farm community that is heavily dependent of the much-appreciated, recent rain is Professional Aquaculture Services (PAS). They are ecstatic that ponds and lakes are filling as we speak. In addition to production aquaculture (fish farming), pond and lake stocking has been keeping owner Tony Vaught busy for over 30 years. But that’s not all that keeps these guys busy. 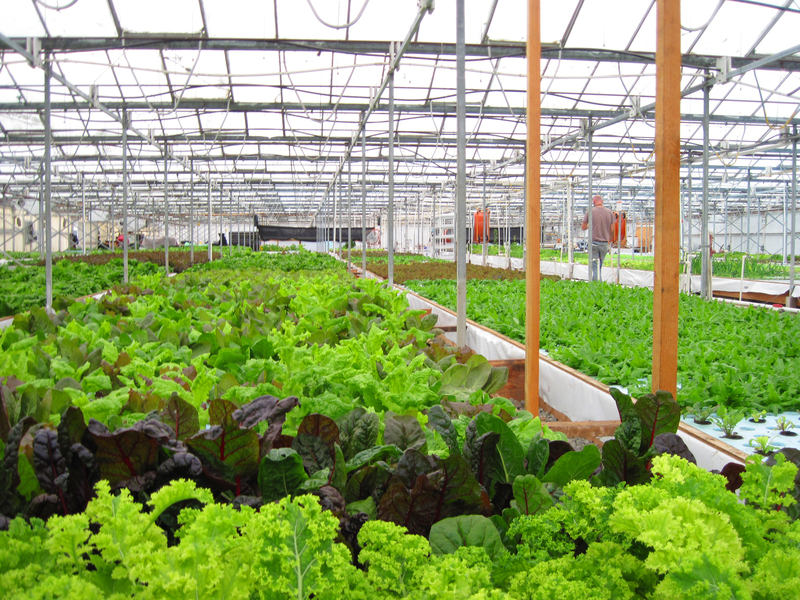 Professional Aquaculture Services also guides and directs fish farmers throughout the world and is venturing into the exciting area of aquaponics, a fast-growing food production industry that combines aquaculture with plant cultivation. Many involved in conventional agriculture are diversifying into aquaculture. Visit PAS on the web for a tour of what it’s all about. They are growing fish, then irrigating with nutrient rich water for the greenest and healthiest crops in the neighborhood. So give thanks for the rain and snow; pray that it continues so that it may fill our lakes ponds and reservoirs, the life blood of California agriculture! I look fancy. This makes me happy. I cannot wait to see the whole thing on Valentine’s Day!!! Until then check out Meat Me’s blog. 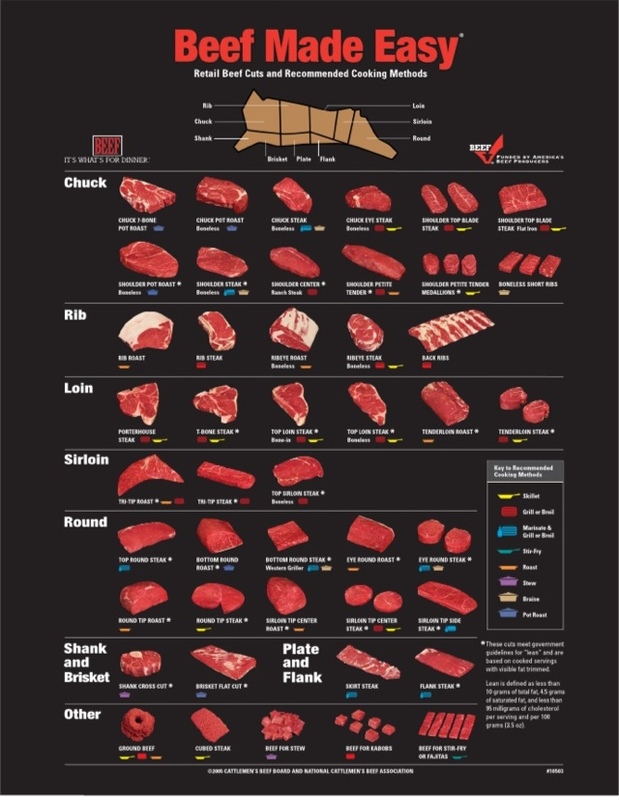 Everytime I sell a beef animal, $1 of that sale goes to a program called The Beef Checkoff. My State Checkoff gets fifty cents and the National Program gets fifty cents. This program is funded by Ranchers just like me all around the country. The point is to use this money to promote and research the beef industry therefore increasing demand for my product. Always a good thing. By law, checkoff funds cannot be used to promote particular breeds nor can they be used to influence government policy or action, including lobbying. This week’s giveaway! I’ve wanted one of these posters for about as long as I can remember. Turns out I’m not the only one! I ordered 3 of them and I didn’t even get to keep one for myself! 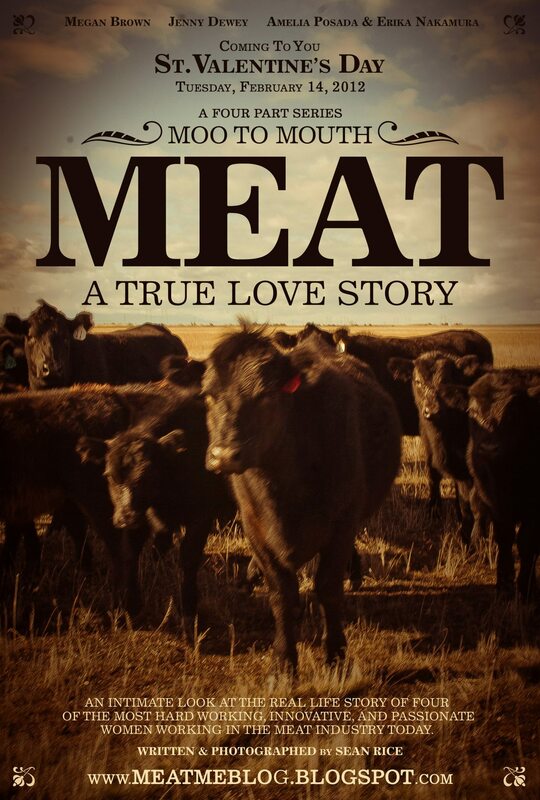 Oh, well, now I have an excuse to place another order and do some more beef related giveaways! You know the drill. Leave me a comment and next Friday, February 10, I’ll use random.org to pick my winner. Good luck!!! When I was a senior in college I was chosen for an internship with our local Cooperative Extension. 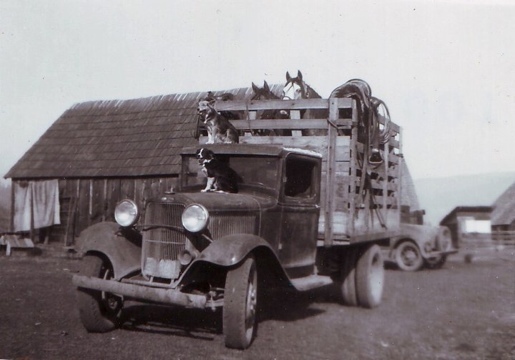 My intention at the time was to intern for our Ranch, but thankfully I had a wonderful advisor that pointed out how much experience I would gain if I spread my wings and tried something new. I ended up working for the Cooperative Extension, part-time, for a couple years. I’m so grateful for that opportunity. For those of you not familiar with the Cooperative Extension – it offers agricultural education and information to farmers, ranchers and the general public from land grant based universities. There are many different facets to the Cooperative Extension including 4-H, master gardeners, and nutrition programs. My internship allowed me to work with the 4-H program, the Farm Advisors and to dabble in the nutrition program. It was mind blowing. I got through it. I researched, read and learned. My chicken handout was deemed worthy! I got paid to learn (pretty much my most favoritist thing ever). I was able to take the skills and knowledge I acquired from the Farm Advisors and use it on the Ranch! This comes in handy when something weird happens. Occasionally we get an egg with an issue. 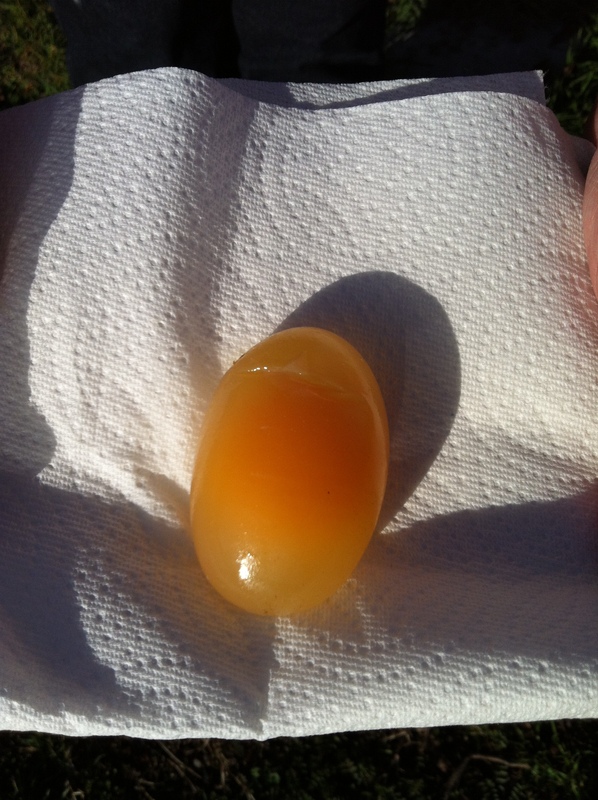 This time is was a shell-less egg, an egg in only a membrane. This can be caused by several factors including immature or defective shell glad, disturbances to the hen that cause her to lay her egg before it is calcified, poor nutrition or a disease. Most likely this was a freak thing, its wintertime and has been raining, the light (or lack of) probably affected the hen’s cycles. We’ll know today when she lays another egg. 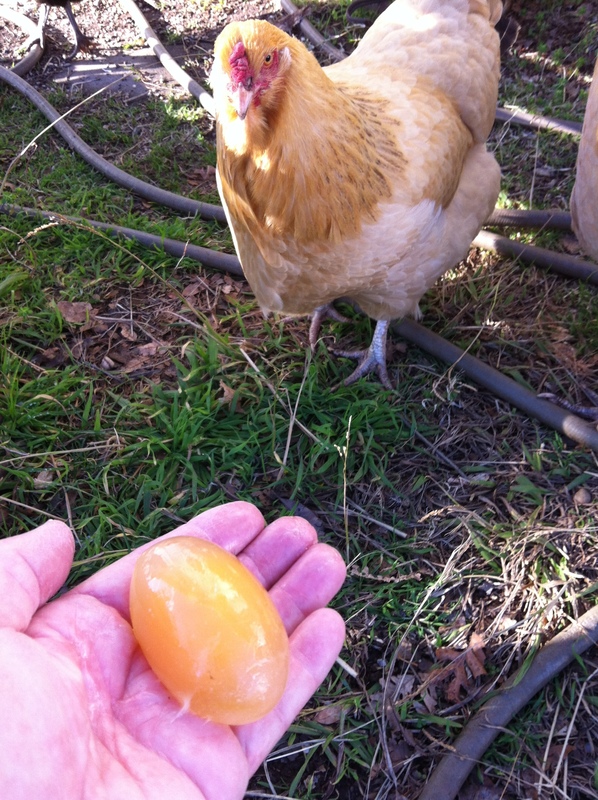 A fun egg/chicken fact for you is a chicken’s earlobe is an indication of what color the chicken’s egg will be? Eggs can come in a multitude of colors including white, brown, blue, and green. The nutritional content has nothing to do with the color of the egg, but a lot to do with the chicken’s diet. On a side note here, I’d like to thank my Mom for taking these pictures! Thanks Mom! I got the most amazing opportunity this past weekend. I got to “open my barn door” and show two people from L.A. our Ranch. It was amazing. Honestly, I was nervous and a little scared about it. But it could not have gone better! Even Jacob the house Bald Eagle made an appearance! (yeah that is me freaking out – Bald Eagles are freaking cool). 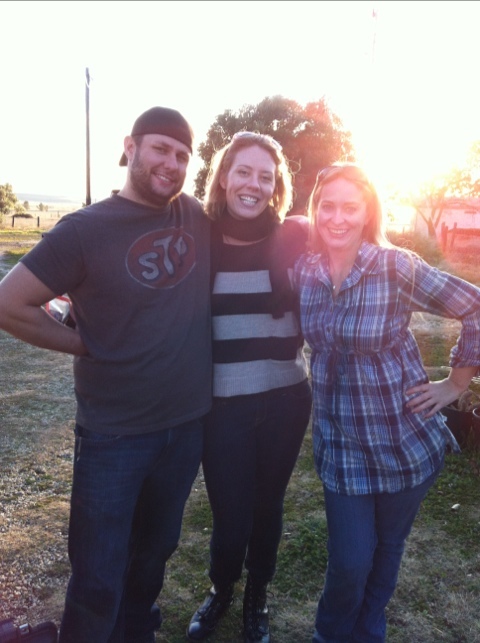 I’ve been offering tours of the Ranch for years now, Sean and Laura were the very first people to take me up on it. I’d never met them in “real life” until they drove all the way up here from Southern California! I ‘met’ Sean (Aka Meat Me) over twitter this past Fall. 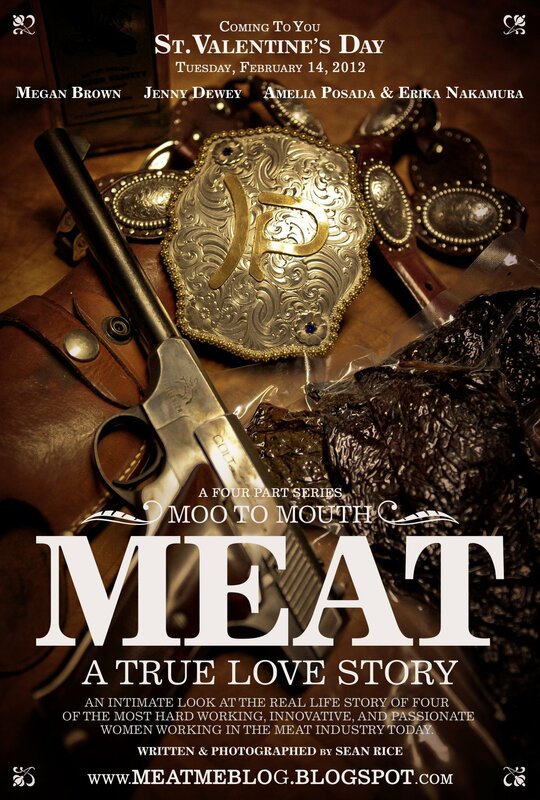 His passion for all things meat put mine to shame, I loved it and wanted to help in any way possible. 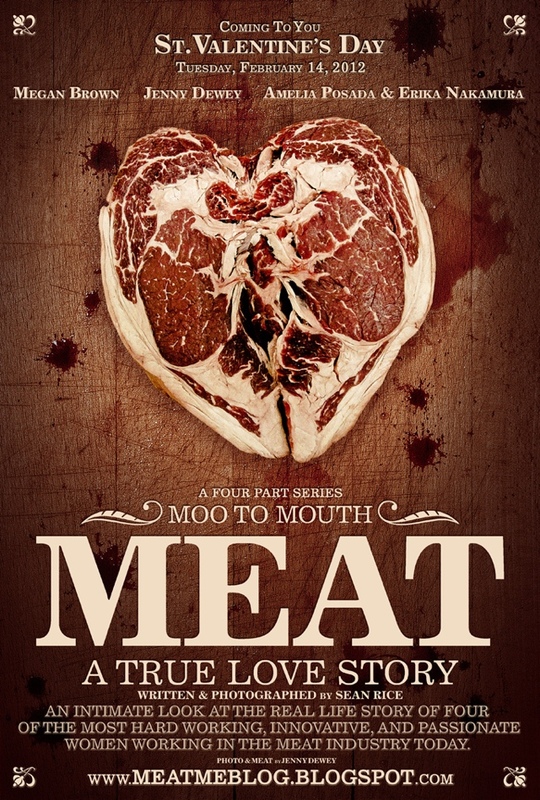 Now I don’t want to ruin the surprise, but Sean is doing a project called MOO to MOUTH: MEAT a True Love Story. This project will take a look at women in the beef and meat industry – basically a way better version of pasture to plate. In addition to myself, Sean took photos and videos of Jenny Dewey of Chico Locker and Sausage and Lindy & Grundy in West Hollywood. Why don’t I just let his poster speak for itself? I’d just like to thank Sean and Laura again for driving all the way up here! Putting up with my massive bottle flu, and for having an interest in what I do. This was such a positive experience for me, and literally made me practice what I preach. I hope this project both educates and inspires. 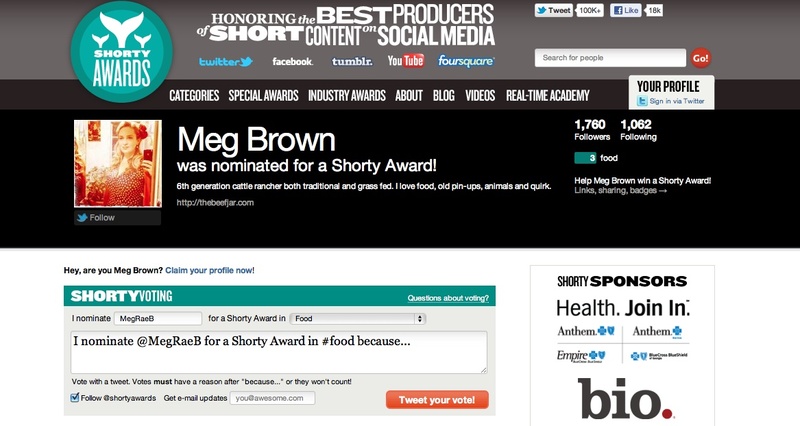 This experience along with the shorty nomination and scholarship has really given my passion a boost. Watch out America! McDonalds. The restaurant foodies love to hate. I can’t go a day without one of my friends posting something negative about them in my social media feeds. Don’t get me wrong, I am not here to sing the praises of fast food. Honestly, I don’t eat it. OK, that isn’t completely true. I do enjoy a good In-N-Out burger once in a while and when I’ve been drinking. The only reason I don’t eat fast food is I don’t like the taste of it. 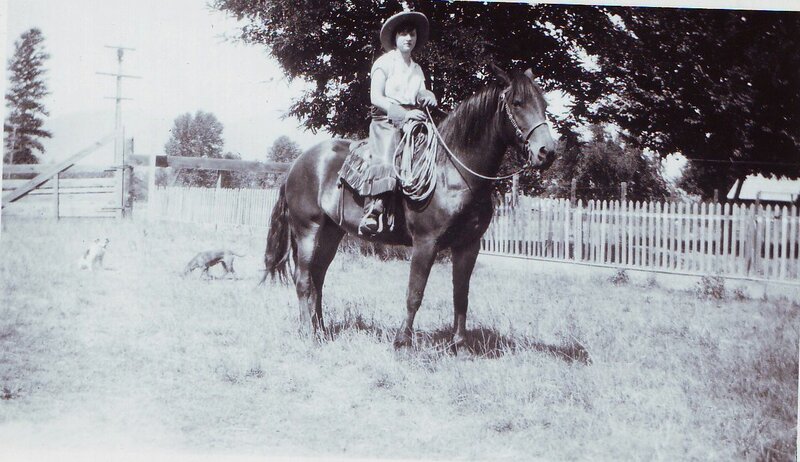 As you know by now, I grew up on a Ranch, with no fast food restaurants any where near me. My Mom cooked every single meal from scratch, my whole life. She even made our dogs’ food for a long time. I never developed a taste for fast food because I never ate it. I remember going to McDonald’s once in a while as a kid, but it was generally because I wanted the Happy Meal toy or to play in the Playplace. Today was a particularly hate on McDonald’s day in my social media life. I had one group of friends posting stuff like this and this another group posting stuff like this and this and my favorite, this. No wonder people are confused and angry. I want to be confused and angry too! Instead, I’m educating myself. I’m learning more about McDonalds. I’m doing an 6th grade science experiment! I give you McExperiment – Does McDonald’s Food Decompose? Over the next 30 days I will evaluate this Happy Meal (burger, apple slices and fries). Let’s see if it does mold, decompose or if bugs will eat it. I bought this fresh tonight, placed it on one of my plates, took some photos and put it in my wood room (my house is way too small to leave this in my kitchen). I’m going to take pictures and notes for the next 30 days. Let’s see what happens shall we?